Amazing drinks for around Christmas!! 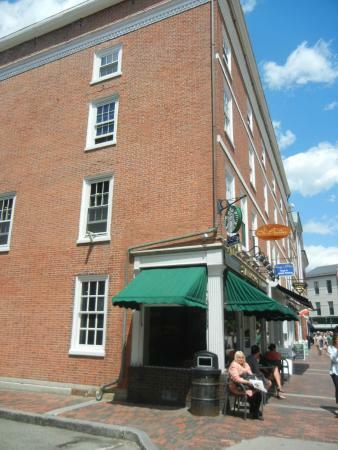 This Starbucks is in a very convenient location, right on Market Square. The staff were friendly and quick. The drink was amazing! Cute little cozy shop to just relax at!! Would love to go back! Stopped selling food items at 8:15 - but they close at 9 pm! I understanding wanting to close early but if you are open until 9 pm you should not do inventory and refuse to sell food items at 815 pm. Generally love this Starbucks but this was absurd! 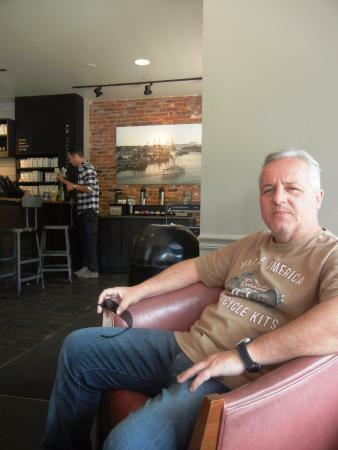 Traveling thru New Hampshire and desperately needing some coffee to keep the motor running, we stopped at a local Starbucks Coffee Shop. 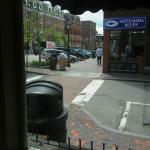 The coffee was great, especially the iced coffee and lattes. Fast and friendly service was also appreciated. 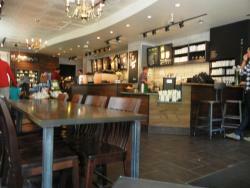 I have to say that the staff in this starbucks are super nice. This is a really comfortable place, especially to grab a coffee and wait out the rain. The restroom is available without a code and it is really clean. Recommend stopping in. The tea in the hotel tastes like coffee. Yuck .....thank God for Starbucks. Saved me! Not bad for breakfast in a hurry. 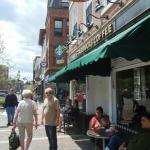 While it is hard to have Starbucks in the quaint town of Portsmouth, this one is very special and family oriented. Amazing coffee as always! We visited as tourists, but were greated with the same welcome and friendly smile as others in line who appeared to be 'regulars'. 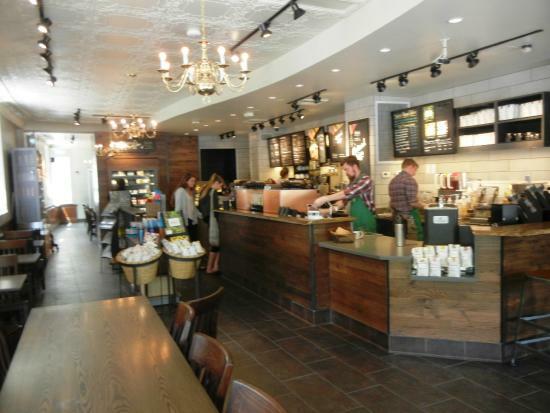 The service at this Starbucks was great, and the drinks that we ordered were delicious. Thank You! !